Railroad accidents, derailments and fatalities have declined in Montana and other parts of the country in the past 10 years, according to data from the Federal Railroad Administration. The FRA reports that the decline is a reflection of efforts to enhance safety and by efforts in Montana specifically to communicate better with federal regulators, and to detect any trends. PTC could prevent many train derailments and crossing accidents. According to FRA data, railroad accidents fell from 198 in 2008 to 98 in 2017, which is a 55% decline. Public Service Commission Chair Brad Johnson in Montana stated that the numbers speak for themselves, and show the efforts in Montana to boost railroad safety have produced tangible results. Johnson noted it is a multifaceted effort to improve safety in the state that has done the job. Burlington Northern Santa Fe Railroad (BNSF) and Montana Rail Link officials stated their companies have made strong efforts to enhance safety, mostly through increased reporting, supervision and improving technology. Montana Rail Link also reported that the company today has a stronger safety culture. The company actively promotes control, recognition and elimination of hazards, and also has a work environment where all workers attempt to contribute to success in rail safety. BNSF has 2300 employees in the state and a payroll of $175 million. It has 2600 miles of track in Montana, and it handles more than two million cars per year. Of those, 300,000 rail cars come from grain elevators and other facilities in Montana. Montana Rail Link runs 20 trains per day and hauls 420,000 carloads of freight each year. It has 900 miles of track in the state and has 1200 workers. Railroad accidents and incidents have been falling at a faster rate in Montana than in most other states in the Northwest. Of the eight states in that part of the country, Alaska and Wyoming are the only ones that have seen a greater decline in railroad accidents. 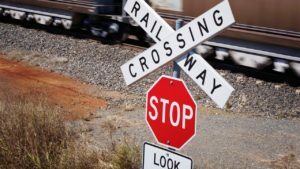 Our railroad accident and FELA attorneys in Virginia are pleased to read that railroad safety is being improved in Montana and in other parts of the country. When there is a railroad accident, such as a derailment, pedestrian crossing, car crossing or other such rail mishap, there can be very serious and fatal injuries. Our railroad accident lawyers once settled a railroad accident claim for $650,000 where our client, a worker for CSX, was injured when she fell off a rail car when the train hit a hostler truck that pulled onto the track in front of the train. An Amtrak train traveling from New York City to Miami slammed into a freight train in the early morning hours of Feb. 4, killing at least two people and injured 116 others. Thousands of gallons of fuel also were spilled. Amtrak stated that the train was carrying eight crew and 139 passengers when it struck a CSX train near Cayce, South Carolina at 2:35 AM. Both of the dead worked for Amtrak, according to South Carolina Governor Henry McMaster at a news conference. Video of the scene appeared to show the CSX train was on the correct track, while the Amtrak train was not, the governor added. The South Carolina Amtrak crash was the second train accident involving the company in less than a week. Last Wednesday, an Amtrak train carrying Republican members of Congress to a retreat in West Virginia struck a garbage truck in rural Virginia. A sanitation worker in the truck was killed. The cause of the latest Amtrak wreck was not clear. The NTSB stated this morning it had begun an investigation of the train crash. A railroad consultant named Steven Ditmeyer stated in a telephone interview with the New York Times that it looked as if one of the trains had not obeyed a signal. Amtrak has had a series of high profile crashes and derailments over the last several years, which has led to harsh criticism from government officials and consumer groups. The Federal Railroad Administration reports that it has had approximately two derailments per month, which is approximately 25% of the accidents FRA reports. Amtrak has responded to criticism that it is a safe travel option for more than 30 million passengers per year and has a strong record of safety. But after a 2016 derailment in Pennsylvania where a train hit a piece of track equipment and killed two, Amtrak acknowledged that improvements needed to be made. Amtrak has installed postive train control (PTC) on segments of its rail network in the northeast US, which can automatically slow speeding trains or stop them if an engineer does not obey a track signal. Ditmeyer noted that PTC could have prevented this type of train crash, but CSX is not required to have their PTC system operational before the end of this year. The end of 2018 was the date set by Congress after several delays, but few railroads seem to be in a hurry to spend the time and money on the safety system, the rail consultant stated. Our Virginia and North Carolina railroad accident attorneys are alarmed that yet another railroad crash has occurred that could have been prevented if positive train control had been installed. Just last week, we wrote a post about the Amtrak railroad crash that killed a 28 year old man in Crozet, Virginia. Railroads have opposed PTC upgrades because of the cost, but what is a human life worth? Now two more people are dead and many more are injured in a train crash that may have been preventable. Both railroads will likely face expensive personal injury and wrongful death lawsuits, so we urge all US railroads to stop using the cost excuse and get PTC installed on its railroad tracks immediately.